What comes to your mind when you think about sushi? To most of us sushi is basically pieces of raw tuna, salmon or mackerel pressed and served with white rice. Not forgetting the seaweed all arranged in similar rows served in a white plate. There is also a group of people who picture traditional rice maki, fish and seaweed all combined that has been rolled into something similar to a log then sliced into small pieces that are bite-sized. Well, both of them can be classified as sushi but none actually makes the cut. If you had the slightest idea that sushi is raw fish then it’s high time that you rub that away. Sushi is basically seasoned vinegar that is used to add flavor to rice will a little-added sugar and salt. These ingredients can either be rolled together or served beside medium white grain rice. What is commonly referred to as sushi that is raw fish in Japanese it’s actually sashimi. Though there are some traditional sushi meals that include fish, in none of them is the fish raw. This particular meal is popular in the US and Japan. In recent years sushi is served as cooked crab, shrimp, and imitation seafood. Other than the high nutritious value to sushi it is also a clean piece of art. It is fun to look at sushi the same way it is eating it. Well, that is when it is prepared by a someone who can be ranked as a professional. When it comes to western sushi this is typically not the traditional western sushi. 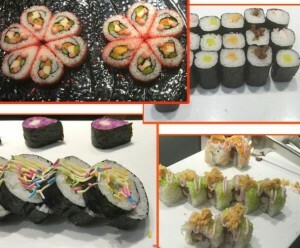 In the west, they make sushi with cuisines and very rarely will you see sushi prepared with poultry or meat. The only thing prepared with these ingredients is rather a teriyaki roll. If you are a vegetarian you can have your sushi prepared with vegetables such as watercress, cucumber carrot, mushroom, asparagus, and scallion. Recently that started preparing sushi with brown rice. Sushi meals are low in fats and calories. Depending on your serving you will only consume approximately 200-500 calories in a serving. However, if this dish is centered on white rice then there might be a possibility that the carb count will be high in that particular serving. This is simply due to the fact that short-grain rice is high in carbs. 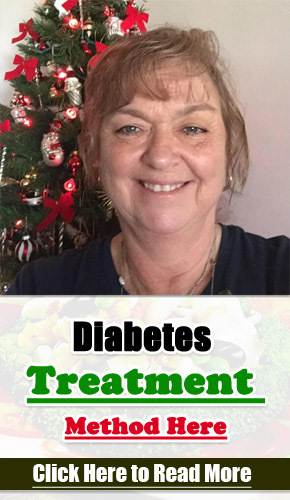 As a diabetic, it is possible to fit in such to your diet without worrying of a spike in the blood sugar levels. You, however, have to be careful on the rice brand that you choose. Other than going for sticky white rice opt for brown rice or quinoa which are both low in carbs. A small serving on California roll contains approximately 43 grams of carbs, 200 calories and 1 gram of fiber. On the other hand quinoa, brown rice contains 38 grams of calories and the fiber increases by 3 grams of fiber. Avoid fats ensure that you skip tempura or crispy that have been butter fried. Well, that’s not all; there is also another sushi option which isn’t raw fish, which is avocado rolls which are high in healthy fats and fiber. You can also go for a cucumber roll with the limitation that you will not have adequate fiber. Some of the basic ingredients that are used to add flavor to sushi include seasoned rice wine vinegar, nori, pickled ginger last but not the least wasabi paste that is readily available in almost every large supermarket. This means that you don’t have to go to a five stars restaurant to eat sushi. You can prepare it comfortably at home. Well, if your rolling skills are not something that you are proud there is an easier option. Tear up the nori sheets into relatively small bits then add in sushi ingredients. 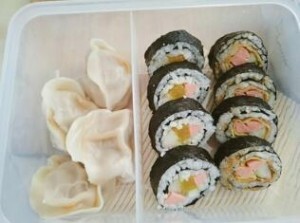 You can also opt to roll it into small rice balls and enjoy your sushi. If you make your own sushi then you will be better positioned to control the ingredients in it. This means that you will keep your carb count in check by preparing it using brown rice rather than traditional sticky white rice. Other than the pickled ginger you have an option to prepare your own fresh ginger all you have to do is grate it. Basically, nori and rice vinegar are the ingredients that define sushi flavor but these doesn’t mean that you shouldn’t add else as a flavor. Feel free to add in poultry, lean meat, fish, an omelet that has been seasoned with sesame oil, a vegetable that is either cooked or raw. 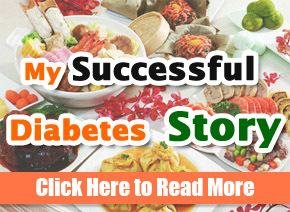 If you are a diabetic you have to be careful with the ingredients that you use to make sushi. Not everything is healthy. Rice is a cereal and has to be included in the diet of the diabetic. You have an advantage if you are making the sushi yourself since you will use rice that is low in carbs. The rice has to be polished and refined. The following are the major ingredients in making sushi rolls seafood, fish, squid, and shrimp. Be careful on the fish you use, it shouldn’t be too salty nor too fatty which is not healthy for you as a diabetic. If fish is not your thing feel free to replace it with cucumber. Remember that there is no salt in the sushi dish this means that you have to use spicy that ideally has water, vinegar, and sugar. As a diabetic, this can be too much and for this reason, rice vinegar is recommended. It is also important to note that as a diabetic you should be careful about the portion you consume. Too much of it can cause a spike in the blood sugar levels.